Family is the most important part of your life. Express your love to your family by dressing in these beautiful matching family clothing costumes. 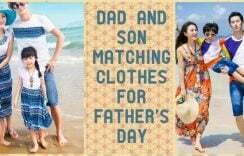 Whether you are out on a beach holiday with your spouse and kids or you are getting a family picture clicked, these coordinated family clothing collections promise to make you dress like the happiest family. 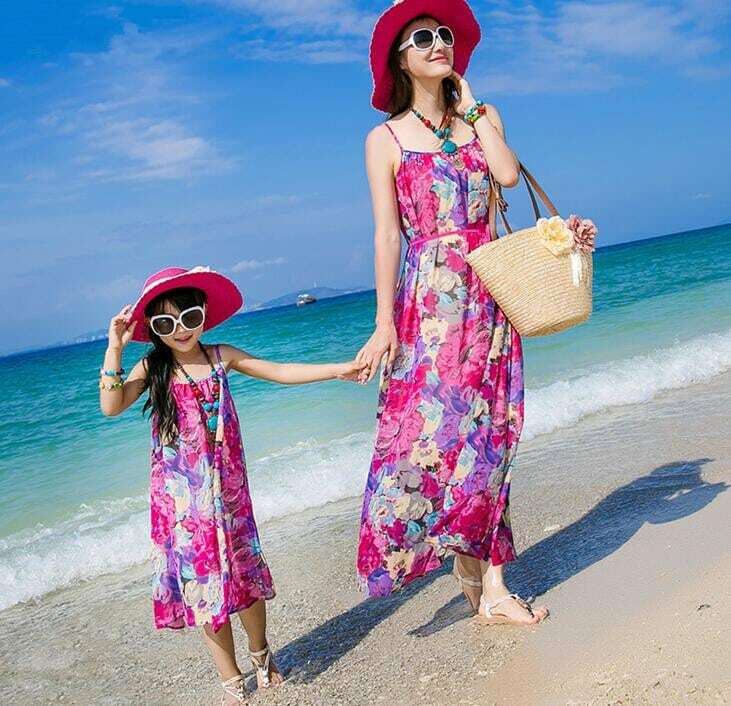 Buy these unique and fashionable mother daughter outfits, mom and son clothes and complete matching outfits for family on vacation in India. This post has been drafted for all those who love their family. Dress alike in these enthralling mother daughter dresses, mommy and me clothes and big sister dresses to have the most memorable pictures clicked and to express your love. Here are some of the most amazing choices of women’s clothing sets and coordinated family outfits that are a must buy. 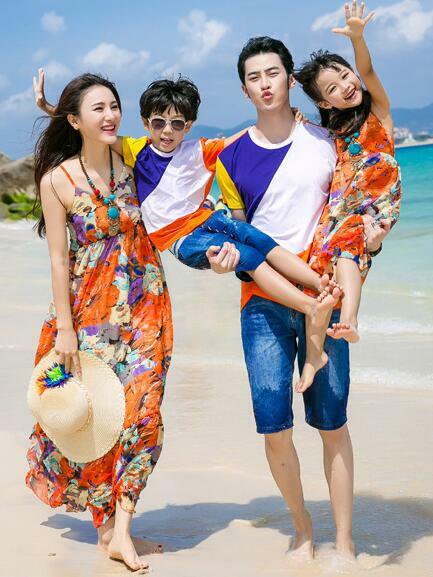 Go for the perfectly coordinated outfit for the entire family if you are planning a vacation or a photo shoot. This clothing set comes in beautiful shades of white and blue. There is cute mother daughter fashion sundress with complementing father son costume. This dress combination has been designed keeping in comfort and fashion trends in min so that your family can enjoy attractive matching attire. 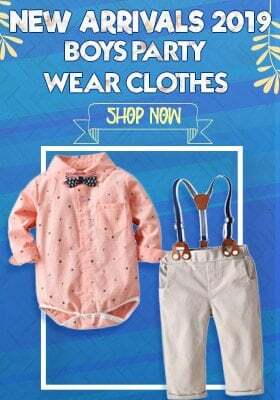 If you are a mother to a baby girl then you can dress in the same outfit with this wonderful choice of mother daughter outfit. This exclusive piece comes with a pink, blue and white dress with a floral motif on bodice. This is a perfect matching women’s clothing set to shop for. You can enjoy a mommy and me outing or go on a holiday dressed alike or simply click a few pictures for memories. Dress in the most beautiful pink and purple floral print with your daughter. This is a wonderful sundress which you can wear to a beach parties or click some sweet pictures. This is one of the best matching family dress in India which can be teamed with accessories like a neckpiece, hat or beach handbag. Have this exclusive costume shopped and get a perfect look. This is a refreshing set of coordinated dresses for families in India. The beautiful combination of orange sundress for mother and daughter complements the white, orange and purple t-shirt for son and father. It is one of the best ways to dress for a beach outing or vacation. Your family is going to stand out wherever you would go dressed in such an unusual and attractive way. Stylize beautifully with your daughter in the gorgeous mommy and me matching dress meant for holidays and photo sessions. This soothing sea green colored designer sundress comes with pink floral print. This is an enticing piece of clothing to buy for your girl and make her dress just like you when you are going for a beach outing or vacation this summer. She will look as pretty as you in this coordinated dress. 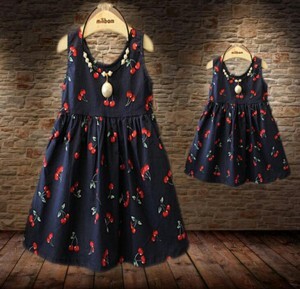 Another wonderful choice of mommy and me matching family dress is this exclusive dark blue colored dress with cute red cherry print. This is one beautiful choice of coordinated clothing for mother and daughter. You can dress in same clothing and be her big sister. You can enjoy a walk on the beach or have coffee at some restaurant or have a day out. These are some of the choices of coordinated family clothing for families in India. You can buy any of these costumes and let your love and bond flourish beautifully. Please provide me your contact number so one of our executive can help you regarding the product. We have a retail outlet in Jaipur or You can also buy online from our website http://www.pinkblueindia.com or you can simply reply to this e-mail or call/whatsapp us at +918003550118 to place order through whatsapp or on phone. I need a mom dad and daughter set dress … is there any photos available. . Single piece would be shipped?